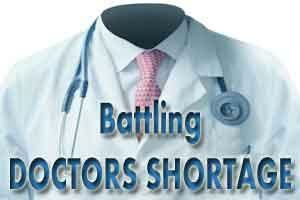 Chandigarh: The Haryana Government has come up a new initiative to curb the shortage of doctors at state run hospital. The state health department has made it mandatory for all the doctors in administrative posts to perform clinical duties for a particular period as prescribed by the department. It is reported that the Director General of Health Services will perform clinical duties for a day in a month while his additional director generals and directors will see patients for two days in a month. Meanwhile, the state health authorities has inserted some flexible rules for the doctors working in administrative department as they can choose an institution as per their preferences for discharging their clinical duties. “It is reiterated that no doctor belonging to the aforementioned services regardless of his posting in any office of the state, including the doctors working on deputation within the state, will be exempted from performance of these duties,” the order further added. Speaking about the state government’s move, Chief minister Anil Vij said, “We have taken this step in view of the acute shortage of doctors in the state. This will ease out the problem to a great extent. Also, patients will be able to get benefit of the expertise of senior doctors,” said Anil Vij, Health Minister. “The days when a doctor does not perform clinical duty or does not make up in the following week, will be treated as absence from duty,” he added. Poor fantasy – shows lack of concern for patients. Managing patients is a continuous process – not one day in a month, two days in a month etc. If necessary make it one hour a day or two hours a day – buy should be on regular basis only. Pt. examined on one particular day has to wt. for one for further meeting as the doctor is to examine only once or twice a wk. . May that person pops off within that time period of time . Very poor application of mind / brain .